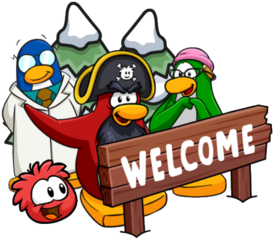 Tonight, all four members of the Penguin Band made an appearance on the server Zipline on Club Penguin Rewritten! All four members interacted with others and explored the rooms decorated for the Music Jam! They also offered their normal background (not the Penguin Play Awards one) and there was not a new background. 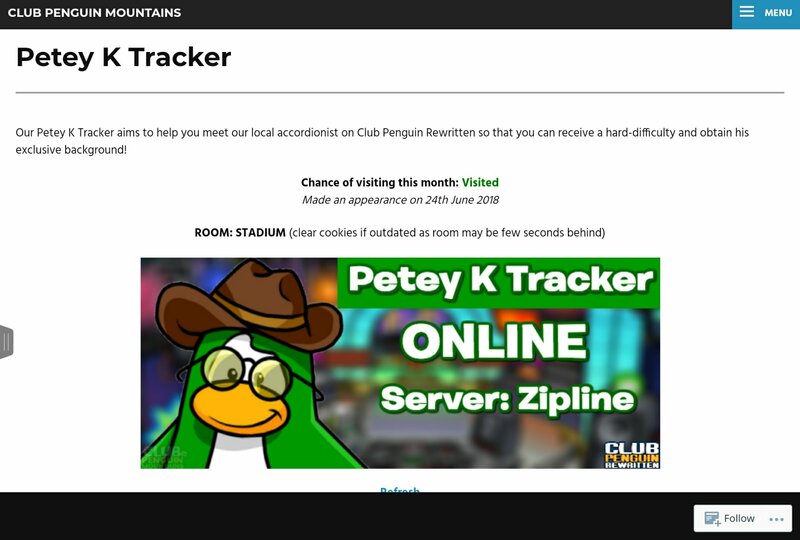 All of these mascots, including their exact location (room) was tracked with the Club Penguin Mountains trackers! You can see an image as proof of this here. They, along with Cadence and DJ Maxx, will likely visit soon. hi, does the tracker announce the visit in advance? e.g. in 10mins, theyll arrive, or sth like that? 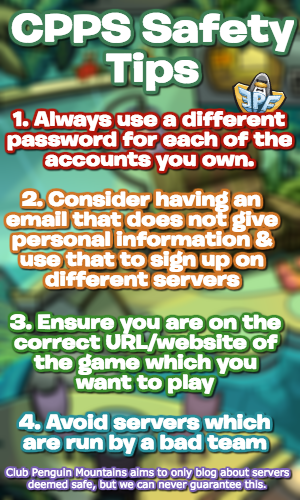 does it also say the server theyre logged on?